From 24 to 28 September, a series of talks, debates, social meet-ups and more will take place in Barcelona, Berlin, Bogotá, Chicago, Glasgow, Hong Kong, Jeddah, London, Los Angeles, Sao Paulo, Seoul, Shanghai, Torino and Vancouver. The Next Web is partnering with Social Media Week again, which means you’ll see coverage of some of the many events during the week itself here on TNW. Additionally, you’ll find up-to-date social media news plucked straight from our pages within the new Social Media Week apps which are now available for Windows Phone, iPhone, iPad and Android. Meanwhile, registration has just opened for Social Media Week events around the world. So, get perusing the schedule and pick out the events you’d like to be a part of. Fashion is set to be an important theme at some Social Media Week events. 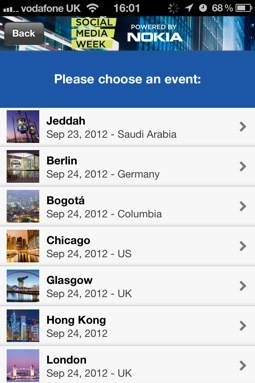 Nokia will be hosting Fashion Days in London, Los Angeles and Jeddah. There’s also a Concrete Jungle competition courtesy on Nokia and StyleSaint, inviting you to create a StyleSaint StyleBook showcasing their style. The winning five entries will receive a share of more than $4,500 worth of prizes and win guest editorial positions on both StyleSaint and the Social Media Week website. Oh, and a Nokia Lumia 900 and StyleSaint app, too. 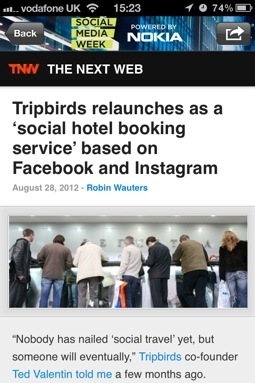 Look out for more news in the build-up to Social Media Week here on The Next Web. In the meantime download the apps, and get registering for some events if you’re anywhere near any of the fourteen host cities.